Established in 1998, Able Tree Surgeons of Huddersfield has gained a highly respected reputation with a varied client base ranging from private home or land owners to large organisations. With a team of experienced and qualified tree surgeon professionals we are well equipped to meet your tree work requirements to the highest quality whilst reducing any risk to you or your property. 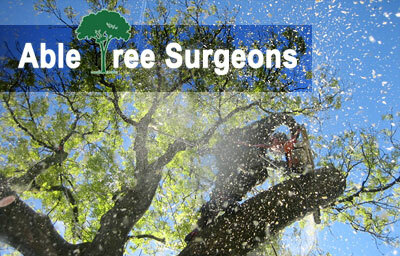 Please explore our site to read about our tree services and view photos/videos of our previous tree work. If you have any queries please contact us by email or telephone - we are always happy to discuss your tree work requirements and we also provide free 'no obligation' consultations and quotations.